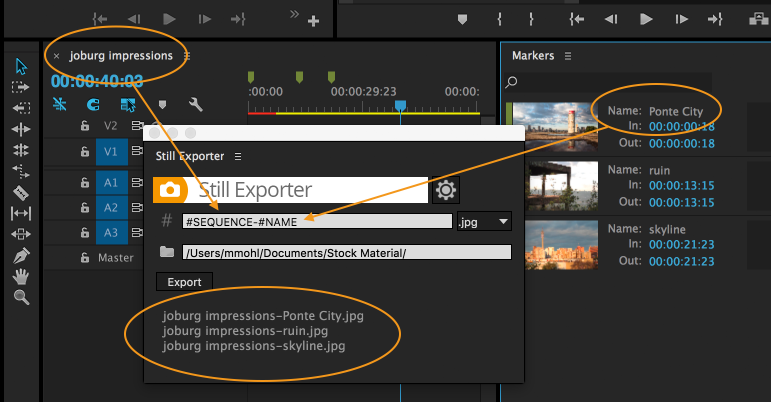 Video editors create more than just video: in this multimedia and social media age, clients often need to have a set of still images exported from their video. Still Exporter simplifies this process by allowing the user to set markers, choose a file format and let Still Exporter take care of the rest. 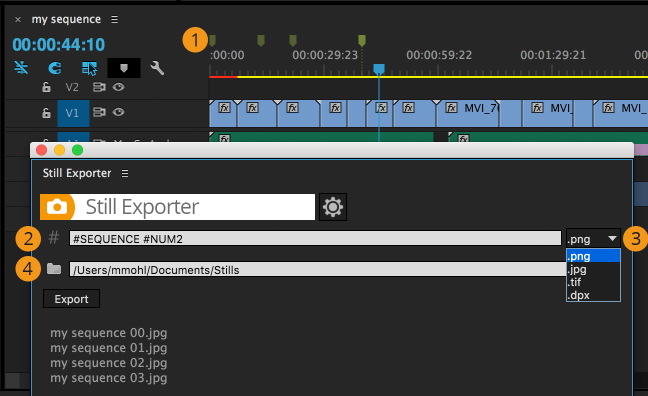 Set markers at the frames you want to export. Choose a naming pattern that describes how the images should be named. Choose a file type from jpg, png, tiff or dpx. Choose a destination folder and click Export. Export directly to jpg format for a small file size, or to png if you need transparency or lossless quality. tif and dpx images are also supported.